Twenty years ago, the decade of the 1930s began as the Great Depression became a fact of life. As the 1940s dawned the nation was recovering and had largely put the Depression behind, but there were clouds of War on the horizon which promised to make the so-called Great War seem like a neighborhood spat. Just like the post-WWI prosperity which launched us into the Roaring Twenties, 1950 was a year filled with boundless optimism, and for good reason. The First World War was largely financed by the United States, and it was our late participation in the conflict which finally helped to bring it to a close, however, what spoils there were of that war went mostly to France and Great Britain. As the vanquished power, post-WWI Germany was left socially, morally, economically, and militarily crippled. Although there was little in the way of "spoils" from the Second War, America came out as an economic and military powerhouse, its only significant competition the Soviet Union. The Russians made even greater sacrifices than the Western Powers during the War, this, along with competition for World dominance and diametrically opposed political views led to what will be decades of mistrust. That lack of trust manifested itself when the Soviets secretly test detonated an atomic device in 1949. Part of the reason that the Soviet atomic weapons program was so far advanced was that secrets from the Manhattan Project were passed to them by a network of spies, one of whom, physicist Klaus Fuchs, confesses on January 24. 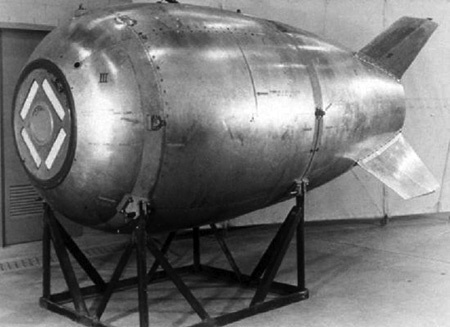 The knowledge that the Soviets have the bomb spurs President Truman to authorize development of the hydrogen bomb. At a Lincoln Day speech at the Republican Women's Club of Wheeling, West Virginia, Senator Joseph McCarthy held up for all to see a paper which he claimed had the names of 205 known Communists working in the US State Department. Considering that the Soviets were extending their hold on Eastern Europe, the Communists had gained victory in the Chinese Civil War, and the Soviet bomb, there is little wonder that the Senator's revelation helped the second Red Scare gain traction. Even with a Red Scare, there is no getting past the optimism of 1950. One manifestation of that optimism came when a gang of eleven crooks thought they could pull a heist against the Brinks Armored Car Company headquarters in Boston on January 17. Although the robbers were eventually rounded up, they nearly got away with $2.7 million in cash, checks, and securities. The banking industry is optimistic enough that the first consumer credit card, Diner's Club, begins making its first payments in February. A referendum is held in March in Belgium that calls for King Leopold III to return to the throne. When the Belgian government went into exile at the beginning of WWII, Leopold chose to stay with his army. The Nazis invaded the neutral country in 1940 and the king surrendered. Soon after returning to power after the 1950 referendum, Leopold abdicated in favor of his son, Baudouin. About the only thing that can stem the unbounded optimism of 1950 would be another war, and even when that war breaks out on the Korean Peninsula, there is little doubt that the same military superiority which carried the day in WWII will assure victory. Korea had been ruled by the Empire of Japan from 1910 until the end of WWII. The Empire was stripped of all territories that it had gained through warfare, and when the Soviet Union declared war on Japan in August 1945, it was agreed that she would administer the northern portion of the peninsula while the south would be under American control. The two superpowers withdrew from the peninsula, leaving two governments which both claimed sovereignty over all of Korea. The Korean People's Army under the leadership of Kim Il-sung moved south of the 38th parallel. The Republic of Korea (ROK) Army had been trained by US advisors but lacked tanks, anti-tank weapons, and heavy artillery. Seoul fell on June 27 after Syngman Rhee supervised the evacuation of the South Korean government. The previous day, President Harry Truman ordered US Forces to defend South Korea. The war will soon devolve into a bloody stalemate between the democracies making up the United Nations forces and Communism with the support of Red China and the Soviets. The post-WWII draw-down of forces had a negative impact on the readiness of American forces, however, with the economic strength of the post-War boom, industry quickly ramped up to support the troops. Although there was some initial Allied success, the tenacity of the Communists prevented their ultimate success, especially when the People's Republic of China felt that their borders were threatened. The West was also unwilling to fully commit to the war, especially escalating to an atomic level, fearing a Third World War centered on Korea. In October, the Federal Communications Commission gives a license for CBS to begin color television broadcasts. The decision will be protested by RCA (parent company of NBC and developer of a competing technology) and the license revoked, but the rise of TV in living color is assured. 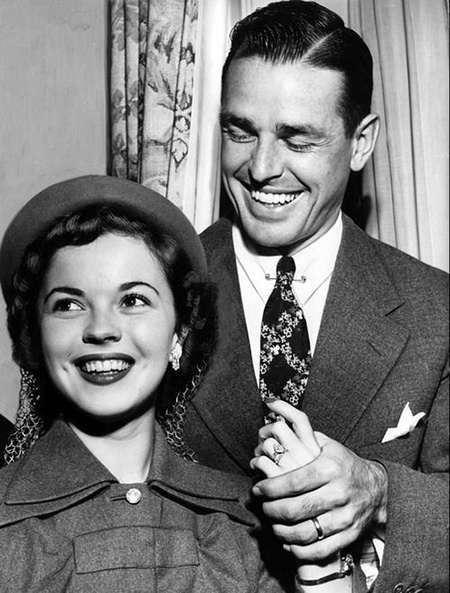 Former Child Star Shirley Temple auditions to appear on Broadway as Peter Pan in August but does not get the part, after taking stock of her career and admitting that her latest films have not done well she announces her retirement from show business at the age of 22. 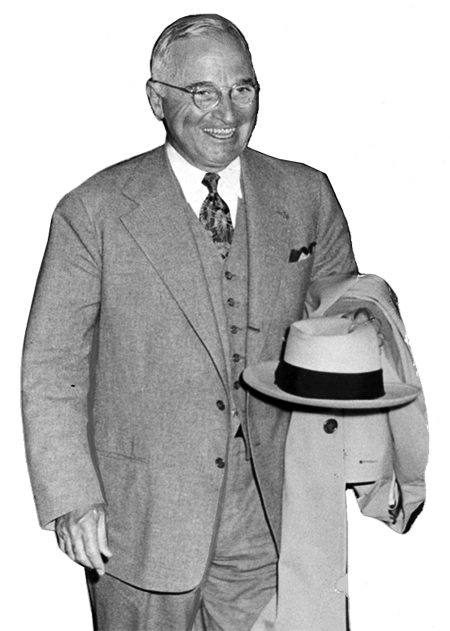 While the Korean Conflict gains the most headlines, President Truman quietly sends a team of military advisors to Indo-China to aid the French Colonial forces. Theoretical physicist Klaus Fuchs confesses to being a spy on January 24, after handing secrets from the Manhattan Project over to the USSR. Information which the Soviets had been able to use to detonate their own atomic device in 1949. In response to the Soviet device, President Truman ordered American scientists to begin the work which resulted in the Hydrogen bomb. The first charges were made on a Diners Club Card on February 8, launching the age of the credit card, the idea being that patrons could "sign and dine" and settle their bill at the end of the month. Disney's twelfth animated feature, Cinderella, debuts in Hollywood on February 15. The Parliament of South Africa passes the Group Areas Act on April 27, which assigned different urban residential and business areas to different races, the Act is the legal origin of Apartheid. Eleven armed men made off with $2.7million in cash, checks, and other securities from the Boston headquarters of the Brinks Armored Car Company on January 17 in what will be billed as "the crime of the century", all 11 bandits were eventually caught. Disney's twelfth animated film, Cinderella, debuted the day after Valentine's Day. The Huntsville, Alabama Times declares "Dr. von Braun Says Rocket Flights Possible to Moon." 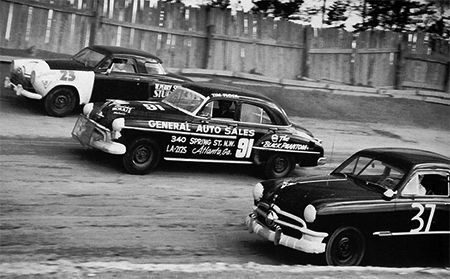 NASCAR's first 500 mile race, the Southern 500, ran for the first time at Darlington Raceway on September 4. On the same day, Mort Drucker's comic strip Beetle Bailey is first seem in newspapers. Peanuts by Charles Schulz is first published on October 2. Citizens of Belgium were asked to vote in a referendum on March 13 whether King Leopold III should be allowed to return to power. When the Belgian Government went into exile when the German Army invaded in October 1940, but Leopold refused to join them while maintaining his position as Commander in Chief of the Belgian military. Leopold was ordered to leave the country by Heinrich Himmler in June 1944, calling into question his legal and moral ability to rule the country after the War. The March 13 referendum carried and Leopold came back into power in July, but he will abdicate in favor of his son, Baudouin, the following year. The Korean Peninsula had been under Japanese rule since 1910 until the end of WWII when the Empire was forced to surrender its territories outside of the home islands which had been taken by military force. Korea was divided at the 38th parallel with the North coming under the influence of Soviet Russia and the South aligned with (but hardly noticed by) the United States, and both sides claiming to be the legitimate government of a United Korea. On June 25, Communist troops from the North swept south across the 38th Parallel. 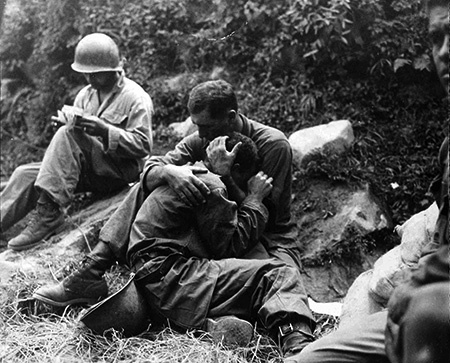 President Truman gave the order for American troops to defend Korea, but by the next day Northern forces had captured Seoul, the South Korean capital, but complete victory eluded their grasp. Over the next two months, Southern Forces will retreat to the Pusan Perimeter and nearly defeated, until United Nations forces make an amphibious landing near Inchon in September, beginning a counter-offensive which will drive Northern Forces to the Yalu River, the border with China. In October, Communist Chinese Soldiers crossed the Yalu in support of North Korea. UN troops are forced to retreat when faced with the Chinese, and the War becomes on of attrition for the next two years." 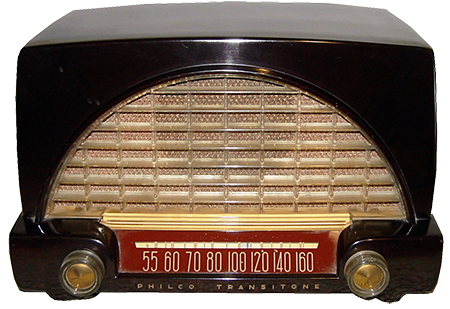 Springbok Radio, the first commercial broadcaster in South Africa, began broadcasting on May 1, 1950. Mark Trail debut on Mutual, while The Better Half goes off the air. ABC will debut Big Jon and Sparkie but Blondie ends its run. The Halls of Ivy, and The Big Show are heard for the first time on NBC, and CBS brought us Granby's Green Acres and Meet Frank Sinatra. Be the first to comment on "1950"